We have previously discussed the attack of President Obama on press freedom. As with the comprehensive attack on privacy, there has been little outcry from Democratic or liberal voters to the placing of journalists under surveillance or the treatment of reporters as potential criminals for receiving information from whistleblowers. Even those who express disappointment have not let these policies alter their continued support for the Administration. Many simply buy the White House argument that the other guys are worse. Well, international groups view the matter a bit more objectively and this month released a report that should be an utter embarrassment for every American. The United States — once the world champion of press freedoms — have called to forty-sixth in the world, according to the World Press Freedom Index. The drop is tied directly to the anti-media policies of President Obama. There has been little improvement in practice under Barack Obama. Rather than pursuing journalists, the emphasis has been on going after their sources, but often using the journalist to identify them. No fewer that eight individuals have been charged under the Espionage Act since Obama became president, compared with three during Bush’s two terms. While 2012 was in part the year of WikiLeaks founder Julian Assange, 2013 will be remember for the National Security Agency computer specialist Edward Snowden, who exposed the mass surveillance methods developed by the US intelligence agencies. The whistleblower is the enemy. Hence the 35-year jail term imposed on Private Chelsea/Bradley Manning for being the big WikiLeaks source, an extremely long sentence but nonetheless small in comparison with the 105-year sentence requested for freelance journalist Barrett Brown in a hacking case. Amid an all-out hunt for leaks and sources, 2013 will also be the year of the Associated Press scandal, which came to light when the Department of Justice acknowledged that it had seized the news agency’s phone records. Due to these policies and actions, the United States dropped 13 places and is now ranked behind behind the former Soviet republics of Lithuania and Latvia as well as Romania, Poland and Czechoslovakia (both the Czech Republic and Slovakia), Ghana, South Africa and El Salvador. One could easily ask: how did we come to this? The answer is as obvious as it is shameful. We came to this place through the acquiescence or silence of many who refuse to oppose Obama despite policies that have led to repeated foreign military excursions, killing U.S. citizens on his sole authority, assault on privacy rights, refusal to investigate war crimes, and attacks on media and whistleblowers. As I have said before, there is a clear cult of personality surrounding this President that has insulated him from opposition by many Democratic and liberal voters. Worse yet, this silence has led to a massive increase in presidential powers that will continue beyond this President. He will leave a different system and a different country in the wake of his tenure. It will not only be difficult for many Democrats to criticize abuses in the future but even more difficult to regain ground that we have lost. The increasing national security and presidential powers asserted by Obama have become the new normal. The report is a sad measure of our standing in the world. Obama had an opportunity to reverse many of the abuses of the Bush Administration. However, he chose to retain and expand on those abusive policies. Now the core rights that have long defined Americans — privacy and the free press — have been sacrificed with little more than a shrug of regret by Obama followers. For the first time, Americans must look at countries like Romania as example of greater support for press freedoms. As I have previously discussed, our claims to be the world’s leader in civil liberties and constitutional protections is increasingly being challenged around the world. Indeed, the problems described in my earlier column on the “Ten Reasons Why The United States Is No Longer The Land Of The Free” have only grown worse. As our press and privacy rights fall, the White House continues to stress that we have to trust the President to do the right thing. As I discussed in another column, this is the very argument that the Framers warned us to reject as a siren’s call of every authoritarian in history. Is It Time To Get Rid Of Curling? Dear Professor Turley, I have a blog on wordpress that is about giving folks information about former New York State Hospitals (Insane Asylums) and I’m trying to get legislation passed in the NY Senate that allows for the release of the names of inmates who have been dead for one hundred years, buried in anonymous unmarked graves, to finally be released to the public so that they will no longer be forgotten. Other than that, I never post about politics. I did however reblog this post of yours and was surprised that a few people just didn’t want to hear it. It is disturbing to me that this issue is not being covered by the press and what is even worse is that no one seems to care. Thank you for trying! Something else that underlines the man’s basic corrupting nature is his invention of new crimes, on his own, to prosecute business with….the forcing, under penalty of perjury, of business owners to swear to the IRS that their reduction of force is NOT due to the effects upon their business placed there by Ocare. This is sick. There are huge moral questions involved in this regime in its various evil manipulations using raw force upon good and decent people in order to police them into complying with immoral practices. And there is also a question of sociopathic behavior when it comes now to actual blood being on the hands of those who are now guilty of forcing very sick people out of ongoing care without any solutions offered to them and without any accountability for doing so. For such individuals, say, in the later stages of cancer or heart failure or rare diseases under specialized treatment, there simply is no affordable place to go (or specialist to see) once they are cut out of their obviously better previous care. This country has always attempted to care for the most vulnerable. That’s been turned on its head with this regime. With the partying while people “burn” there is that “let them eat cake” open “in your face” expression of just that contempt in which the American people are now held by their dear leader/s. Estimates for newspaper newsroom cutbacks in 2012 put the industry down 30% since 2000 and below 40,000 full-time professional employees for the first time since 1978. In local TV, our special content report reveals, sports, weather and traffic now account on average for 40% of the content produced on the newscasts studied while story lengths shrink. On CNN, the cable channel that has branded itself around deep reporting, produced story packages were cut nearly in half from 2007 to 2012. If media can’t or won’t do its job then govt will become more secretive, more authoritarian, and less transparent. Fewer outlets, fewer resources, fewer reporters and more profits. That’s not a sign of a healthy Fourth Estate. It’s become a corporate estate that banks on govt favors to produce more profit, the real news and an the adversarial relationship of the press to the govt be damned…..
whimsicalmamapig, in the last election, it was certainly the lesser of two evils. Of course he was. THAT’S the reason he was elected with a 5 million vote margin. I was proud to vote for him the first time. The second time, it was the lesser of two evils. Most of the people I know who voted for him the second time say the same thing…’compared with who he was running against, it was the only option’. I would certainly be glad to have a slate of candidates for whom I could vote without having to have one hand firmly grasping my nose. smiling atheist – If you possess the wisdom of a 70 year old, how could you have not known just what Obama was even before the first election. It was apparent to anyone actually vetting him that his administrations would turn out as they did. 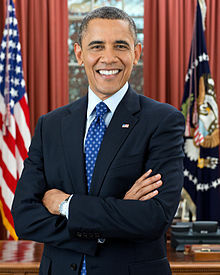 What you and all the other supporters of him did was to put our nation on hold for 8 years as nothing could be accomplished with this guy in charge. He was too radical for the regular citizen and no one could stop him for fear of being chastised as a racist. what a big waste of time and money.